Packaged 24 Bars Per Case. 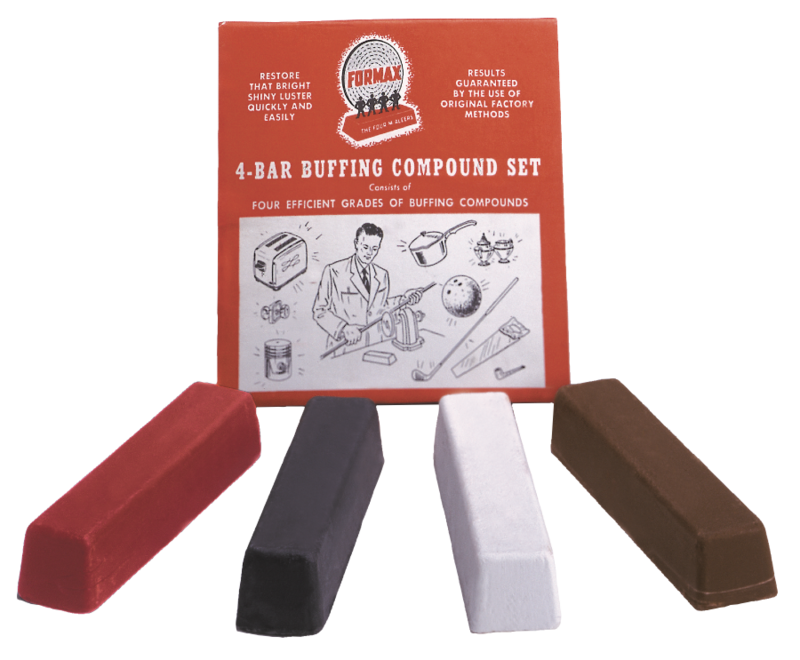 All of the above mentioned compound bars are also available individually bulk packaged, in a 1 oz. “Peanut” Bar Size. Tripoli Brown Rouge: For buffing all articles of Aluminum, White Metal, Zinc, Copper, Wood, Rubber and Plastic. 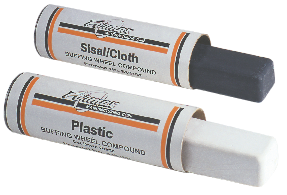 White Rouge: Especially suited for buffing Steel, Stainless Steel, Iron and Chrome. Red Rouge: The finest grade of all.Use on precious and soft metal such as Gold, Silver, Sterling, Nickel, Platinum and Pewter. 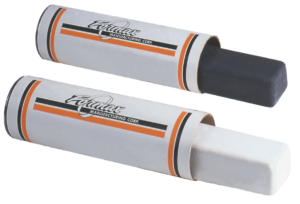 Black Emery Cake: Fast Cutting, Removes Rust Scale, Carbon, Heavy Tarnish and Sooty Deposits from Tools, Golf Clubs, Outside Hardware, Cooking Utensils and more. Green Micro Fine Honing: For Polishing, Lapping, Stropping and Honing Wood Working Tools to a micro fine razor sharp cutting edge.